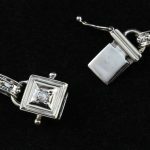 Home	Estate Jewelry	Bracelets	Gold Bracelets	14K White Gold Circle & Square Diamond Link Bracelet 1.0 TCW by D.D. 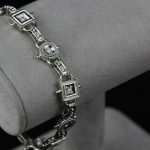 14K White Gold Circle & Square Diamond Link Bracelet 1.0 TCW by D.D. 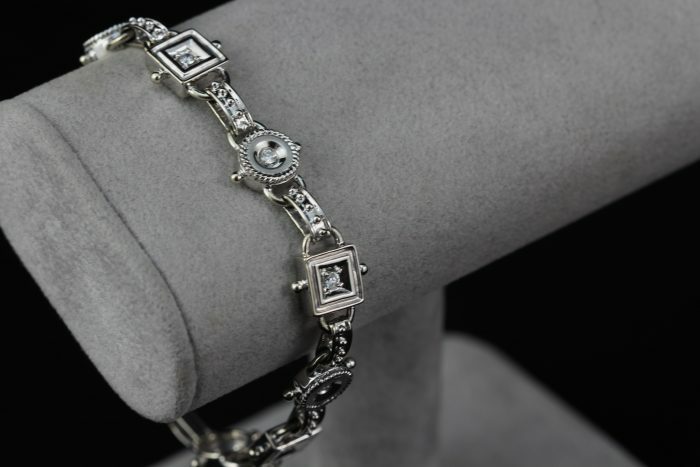 This is a listing for a circle and square shaped link bracelet that is accented with diamonds. There are minimal scratches visible on the clasp. Add this elegant link bracelet to your jewelry collection today!